The initial smartwatch didn’t really capture anyone’s imagination. Not everything thrown at us by Silicon Valley ends up being a success with consumers. So manufacturers went back to the drawing board. 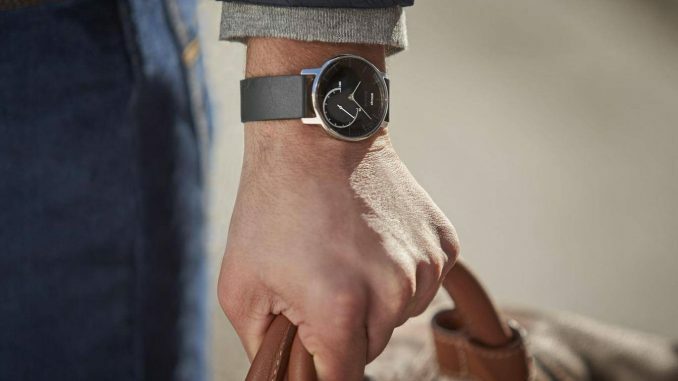 Tech companies have stylishly combined their best gadgetry with fashion and sports labels over the last few years to attempt to offer a more style-conscious smartwatch. This helps the brand to sell more. These, however, are let down by a simple fact: having a blank screen on your wrist remains a hard style-sell. A loud smartwatch still raises eyebrows as to why you’re wearing one. So we bring to you, a hybrid smartwatch; its distant cousin. 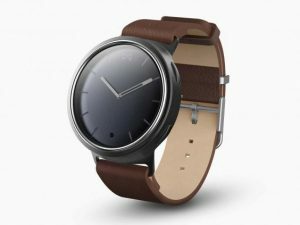 These devices offer a traditional watch face with hands moving around a dial, with some smartwatch features hidden away. Despite these, they will either track your fitness and activity, or send notifications to your wrist, or both via Bluetooth. 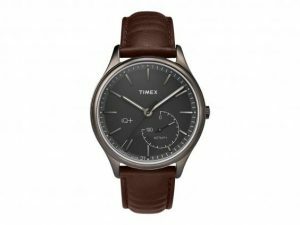 There’s a range of options available to buy at different prices, ranging from Swiss watchmakers’ offerings to fashion label ideas to tech company styles. If you like the idea of a smartwatch but still want your timepiece to tick, then this is for you. This bold and beautiful watch is a wonderful mix of everything you want a horological smartwatch to do. The watch runs on an electrical storage device, which lasts around four years with no charging necessary. This is longer than hybrid smartwatches. It also features an MMT-282-1 movement. The watch aligns with your device manually through a push of the crown, which means you’ll have to check your stats often and set the time from whatever it is on your phone through the connected app MMT-365. This app allows you to set-up other time zones and notification preferences. It can also track your fitness with a SwissConnect Gym app. 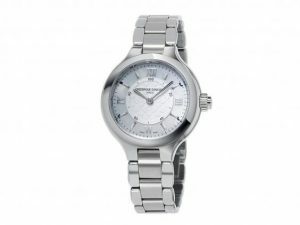 The dial window of the watch is scratchproof sapphire crystal glass, and the rubber strap would last a life time. You can set some sleep cycle alarms, gently beeping you awake at the most appropriate time of the cycle; making sure you’re awake when you need to be. This quartz-movement watch tracks activity through the Health Mate app, which is very comprehensive and easy to use. You can view nutrition through the connected MyFitnessPal app. You can also log different types of activity, such as swimming. All these are available at the lower end of the hybrid watches package. 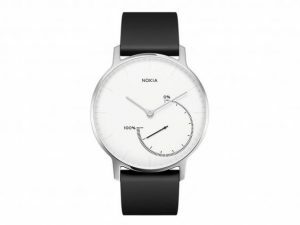 The Nokia looks very smooth, shiny and smart. 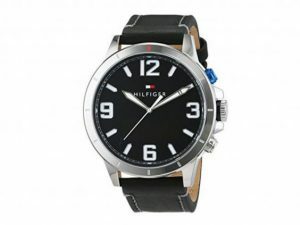 It is very attractive on any wrist, and the black rubber sports strap it comes with is ideal for exercise. 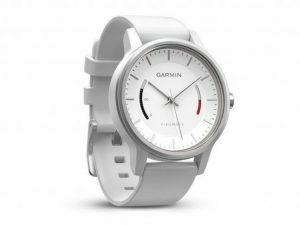 One small drawback is that the double-domed glass dial window isn’t completely scratchproof, so you may want to be careful with the device and there is no heart-rate monitor. You can set sleep alarms to wake you, although there are no notification systems. The battery will last you eight months. 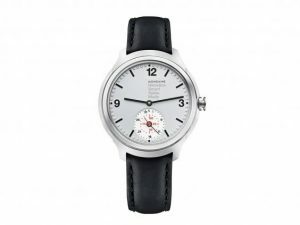 The Mondaine Helvetica 1 smartwatch offers activity watching and following on a watch that feels luxury, what with the soft, comfortable leather strap and the anti-reflective sapphire crystal glass dial. The quartz mechanism watch comes in a range of colors and styles but what it does not offer is a big and wide range of ability to do things. Unlike competitors, no effort is made to provide notification services. It will, however effective in tracking your activity. 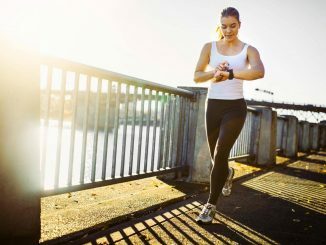 It can tell the difference between a gentle walk and medium-level exercise easily and synchronizing with the app was painless. With just a press of the crown, you can check your stats. You can adapt what you want the second dial to display through the app and also set up a second time zone to check up on with a triple press of the crown. The sleep cycle alarm was also a huge selling point. The Q app interface is simple to use and syncs data automatically. You can use the watch as a remote shutter for your camera to take selfies from distance. You can call your lost phone with the touch of a button. Control your music or other connected devices. You can set lifestyle targets, such as trying a certain amounts of new recipes per week. In practical terms we didn’t see the use of the particular goals listed, but the option to customize lets you set your own scope. These are neat and thoughtful additions. You can also choose to set a profile and link social media if you wish to shout about your achievements online. You can also connect the app to the Google, Jawbone and Under Armour fitness app, if it is one of some devices you use to track health. Battery life lasts four months with no charging needed. The stainless steel strap of this watch holds a big rich and beautiful watchface in place, which is shielded by scratchproof sapphire crystal glass, waterproof to 3 atmospheres, beautiful. The watch offers activity and sleep watching and following, sleep alarms, and notifications. The notification system works exactly the same as Alpina‘s, a gentle buzz as the hands point to the correct symbol. Operating through the MMT-365 app, which brags all the same fitness insights, energetic coaching and personal messaging system (should your contacts also brag a MMT-365 connected watch). The MMT-281 Connected movement will run on an electrical storage device for an impressive 25 months, no charging needed. This is pretty device is not too bulky for exercise or dressing up, and there’s nothing offensive about the design. The case is made of quality materials; satin aluminum and stainless steel. It is also waterproof. The exercise features are where this beauty shines. It will track your steps and distance and you can swim in the pool with it. You can choose between a range of activity types to add in your minutes manually, or simply tap a button to activate activity mode and begin watching and following with the acceleration-measuring device. You can also take a selfie with it, play and pause music or control other smart devices in your home, depending on the mode you choose in the app. It’s a bit flashy, but can be a weird and sweet and lovable addition. You can set alarms as you’d expect, or sleep cycle alarms. Notifications and alerts arrive with a colour-coded vibration, a handy feature so you can tell your WhatsApp from your texts. With this is an activity-oriented hybrid smartwatch, you’re greeted by two bars on the watch face, behind chemically strengthened glass. The left one fills as you progress in your daily activity, while the right one fills as you remain inactive, reminding you to get on your feet. The bar will only reduce if you walk around for a few minutes. It’s useful, but can also turn into a strong criticism of your sitting a lot office job, especially if you can’t find an excuse to leave the desk. Hence, it is best for physical exercises. A nice feature about the step-counting activity tracker (although with no heart rate monitor) is that it can automatically set and adjust your goals. The Garmin Connect app can also link to popular calorie counting apps like MyFitnessPal and input your activity automatically, meaning you don’t have to guess how long you’ve been running or calculate your KCal output. There’s an almost huge amount of numbers that measure things available following a manual synchronization, but they’re all watched and followed by the device automatically. The Vivomove also monitors your sleep, watching and following total sleep and periods of restful sleep or moving and wiggling around. However, a major oversight is that you cannot set a sleep alarm or any kind of alarm. If you’re buying a Tommy Hilfiger watch, chances are it’s for brand value and style, which comes in buckets. 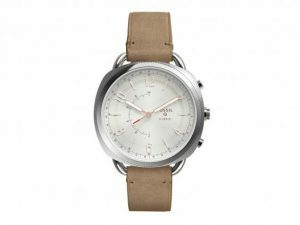 The face is bold and chunky, but not nagging and over-controlling, while the leather strap is wide, comfortable and durable, with a lovely labeled detail sewn on the end. The dial window is made of glass, which looks good. There’s no heart-rate watching and following, but there is a basic step count tracker, and notifications arrive with a buzz, including calls and messages. You can cycle through messages, deleting with one button and reading with another. Via the on-face chyron, you not only see the person messaging, but the whole text too. It’s a system that works well. The app also lets you customize notification vibrations for different apps. When not active, this screen quietly blends with the rest of the face. The plus sides of this watch are obvious. It is gorgeous if you’re after a watch with looks. The face is smooth and shiny and the activity scale looks like a traditionally embedded stopwatch in the watchface. The leather strap version we used felt a little squeaky but sat comfortably on the wrist during both rest and exercise. The brass case feels light but not small and unimportant. The dial window is made from mineral glass, but isn’t scratchproof, which is quite a disappointment. A button activates a backlight, which is useful in the dark. Holding it for a few seconds with the app open (until you hear beeps) starts the data transfer. This is a bit elaborate for this kind of process and could do with being simpler. The app itself gives a functional display of your sleep and step data even though you don’t get as much detail. The step counting is accurate and the distance counting can adjust for your height and stride manually in the app, The sleep watching also felt pretty accurate. You won’t get active minutes or heart rate data, sadly. You can also set alarms and timers through the app. They beep until you are awake as there’s no vibration function. There’s also no notifications function, which may be a deal-breaker for some who want a smarter hybrid watch. 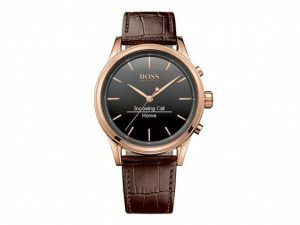 The Hugo Boss Smart Classic is a beautiful men’s hybrid smartwatch. If you’re buying it, that’s probably a fair chunk of, if not the whole reason for the purchase. The OLED screen blends well and you wouldn’t see it at a quick look, only up close. The stainless steel, colored rose-gold case sits nicely on your wrist. The leather strap feels durable and comfortable, and the case is waterproof. The quartz movement is adjustable via the crown on the side, not through the app, and again, the glass is not unbeatable to scratches. The Boss watch is very good at giving notifications that you can customize in the app. While the step watching and following is basic, the custom options for things like calendar alerts and favorite contacts are impressive and the most varied we experienced. You can customize vibrations and read texts on the go, as per the Hilfiger option. It really comes down to personal taste, as with all things horological. 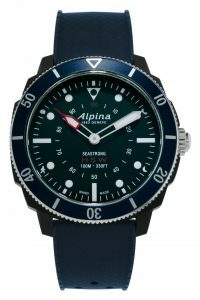 If you want a high-end option, the Alpina, Mondaine and Frederique Constant offer quality , and very much so, with the only separating importance being style and notification preferences. If you don’t want to pay too much, then the Nokia offering is a huge all-rounder, while other beautiful options complete almost the same functions in the same price bracket. But preferences and the money, the Alpina is the best value option in a device that’d serve you well.